For a lot of people, the most important time of year is approaching again. PET Power is turning the party upside down this year with very special packaging! The 500ml Bottle Shaped Jar actually does stand on its cap! A true eye-catcher on the shop shelves or under the Christmas tree. The bottle looks a lot like a champagne bottle and is highly suitable as a gift pack. The base has a diameter of 63mm and the bottle is delivered with an RTS neck finish, easy to combine with standard available closures. Everyone wants a gift like this! Fill the container with delicious chocolates or other delicacies and put a smile on everyone’s face. The wide mouth makes this gift pack relatively easy to fill with various sweet products. Make the packaging extra festive with alluring decoration. Our designers will be happy to inspire you with various appealing designs. Larger size? Of course! We have a similar bottle in our standard range with a capacity of 625ml. 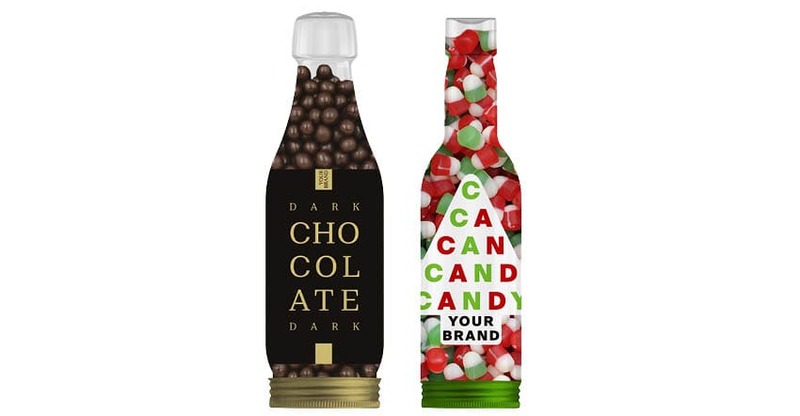 Do you want to give the holidays an extra swing with the Bottle Shaped Jar? Then please contact us through your local sales representative or email us at info@petpower.eu.